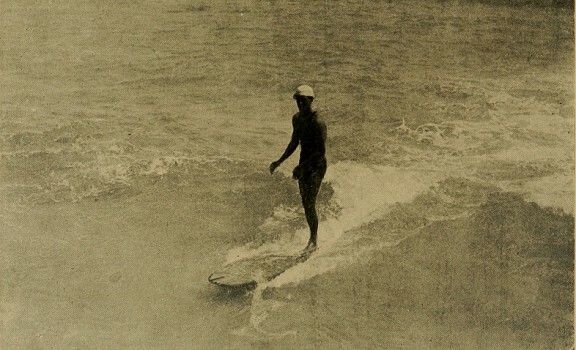 Lewis Edwin Capps : The Surf Rider, Hawaii, 1920. 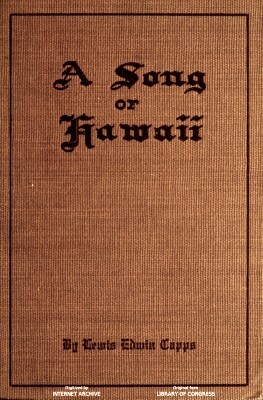 A collection of poems, often about Hawaii or its residents, with some religious works. The "illustrations" (photographs) are said to be by Capps. 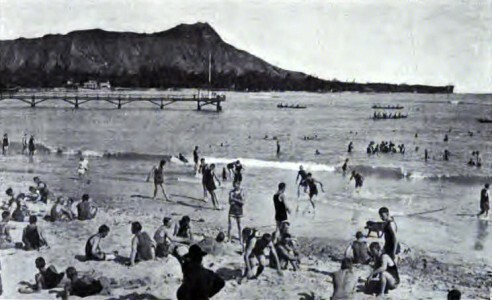 [Waikiki Beach] Page 62 THE DIVER. From Neptune's own abode beneath the sea. And Neptune's daughter is at home again. And with the rising tide. Like Jove's great thunder on the mountain top. 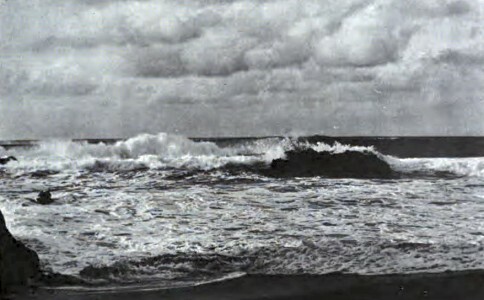 But thundering seas and dashing spray. To romp and play in Neptune's crystal pool. With body bronzed in the tropic sun. Straight for the reef where the breakers roar. While the smaller waves roll by. Choosing with only the great to vie. While the rider, quick as a lightning flash. Dives for his life, nor a moment to spare. And again he is up, and again in his place. With a heart that will do or die. Curves like the wings of the gull overhead. A statue bathed in a whirl of spray. Then back to the reef for another ride. To drive and pound on her walls of stone. Forever and ever and evermore. Geoff Cater (2013-2017) : Lewis Edwin Capps : The Surf Rider, Hawaii, 1920.